It’s official – The Phillies announced today that Ryne Sandberg is no longer the “interim” manager. He has been signed to a 3-year deal, with a club option for a 4th year. With a new manager in place, everyone was smiling and laughing before the game. But the smiles faded as the day wore on. It is a shame the Phillies could not scrape out a win for Sandberg today; they got swept by the Mets in a 3-game series. For the first 3 innings, Cliff Lee was so sharp, it looked like he may pitch a no-hitter. But he ran into trouble in the 4th inning and allowed a run. He wound up allowing 2 runs over 7 innings, which is still great, but only helpful if the offense does its part. At the plate, the Phillies left too many runners on base (8) and went 3 for 13 with runners in scoring position. 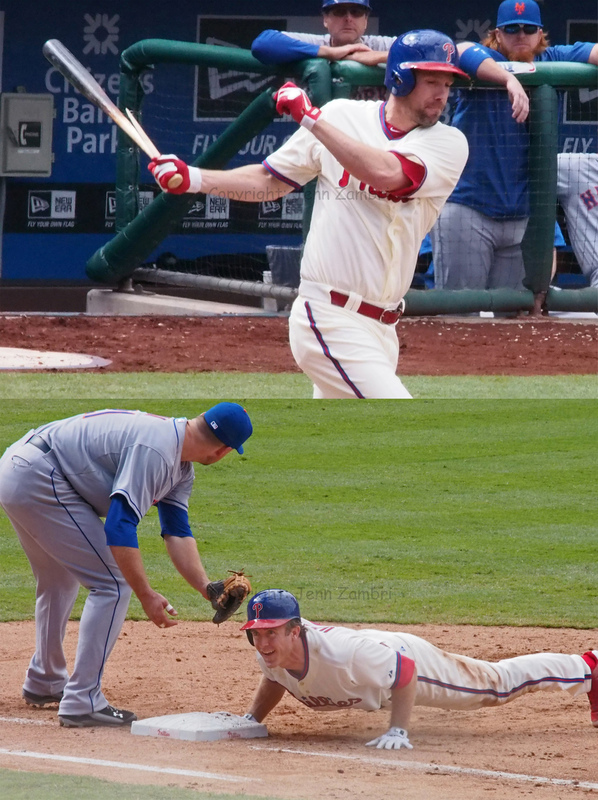 There were a few amusing moments, like when Cliff Lee swung the bat so hard, it split in two, even though he did not hit the ball (see photo). And Chase Utley apparently got a big chuckle out of the Mets pick-off attempt. 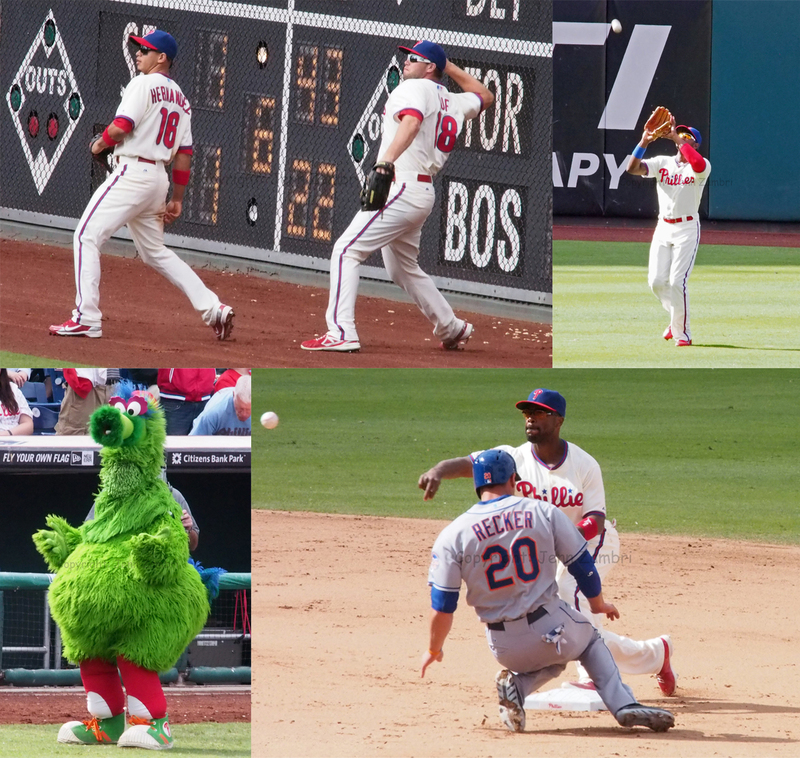 There were also many adventures in the outfield with balls played off the wall that could have been caught, Domonic Brown bobbling a ball which allowed an extra run to score and the Phanatic lost his shirt again. And in the end, the Phillies could not muster a win. I suppose that was a fitting end to the home games in a sad 2013 season. 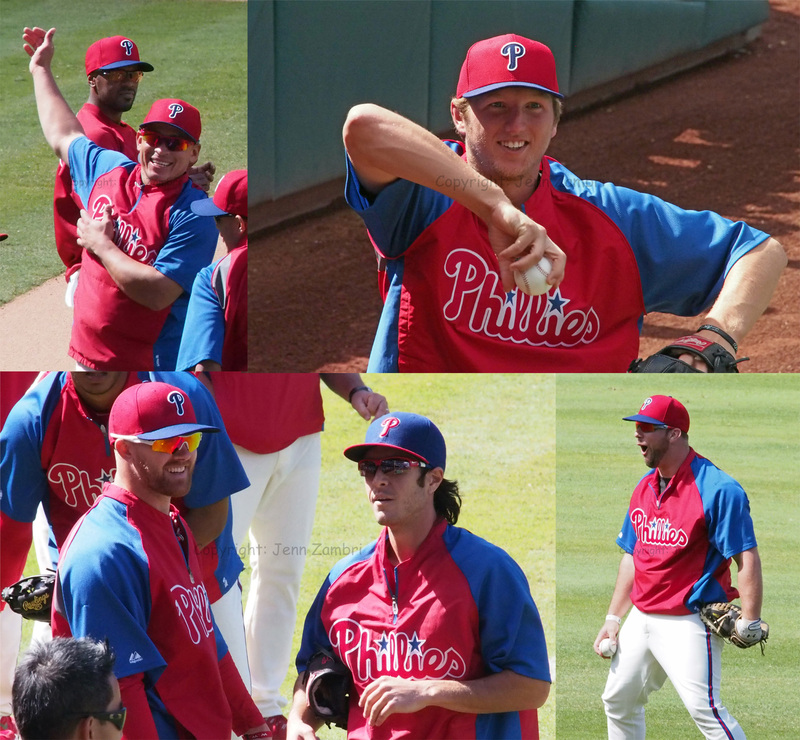 Here is the full Photo Album from today’s game, including pre-game shots. The Phillies go to Miami on Monday for the second-to-last series of the year. Game time is 7:10pm.